NEWS from The Wriggler ! MSS KITS driver Tom Wrigley has brought his 2018 Porsche Carrera Cup GB season to the perfect conclusion, with a dominant fourth win of the year during the Brands Hatch season finale securing him third overall in the championship standings. Wrigley ends a fruitful first campaign with MSS having won a race in four of the last five meetings of the year, with four consecutive podium finishes completing a hugely impressive record of finishing every race this year inside the top six, a feat only matched by series champion Tio Ellinas. 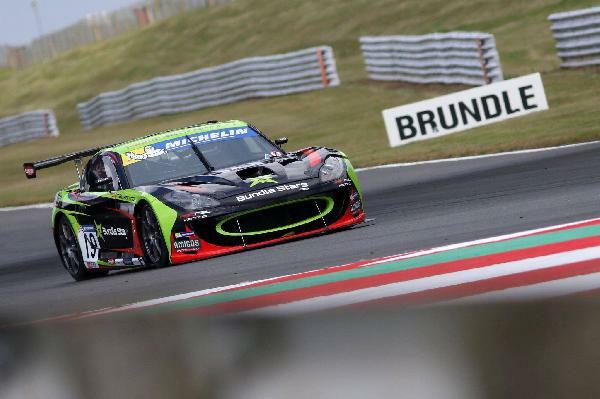 The highly anticipated season finale would take place in front of a huge crowd around the world-famous Grand Prix circuit at Brands Hatch, a firm favourite of Wrigley’s having previously been the scene of his coronation as Michelin Ginetta GT4 Supercup champion back in 2016. The Welshman got the meeting off to a fantastic start during official free practice on Friday, instantly gelling with the 2.43 mile circuit in his Team JTR prepared Porsche 911 GT3 Cup car as he stormed to second fastest on the timesheets, just a tenth of a second off the top. Wrigley went on to challenge for pole position during a thrilling qualifying session the next day, holding provisional pole at one stage during a frenetic end to proceedings in which the top positions changed every lap, eventually coming away fourth fastest overall. The final two races of the season both took place under the Kent sunshine on Sunday, with Wrigley initially slipping to fifth at the start of the opener before benefitting from not one but two drivers ahead of him spinning their cars over the next handful of laps. Emerging in a brilliant third position, Wrigley loomed large in the mirrors of Ellinas ahead over the remainder of the race, but an intelligent drive saw him consolidate his position and bring his MSS Kits Porsche home for a fantastic podium finish. That result secured the 26 year old fourth on the reverse grid for the final race of the season in front of the live ITV4 television cameras, with a dramatic start to proceedings seeing two drivers ahead lose control through the first corner, with Wrigley fortunately getting through unscathed. Settling into second position during a subsequent safety car period, Wrigley had the race win in his sights as the action restarted and he wasted no time in getting to the front, with a slick move into Surtees securing him the advantage on lap five. From there the Chirk based racer never looked back, breaking clear of the pack immediately as he built a lead of over three seconds within just three laps, before a controlled drive secured him the dominant victory to the delight of his family, the JTR team and MSS Kits. Wrigley’s superb end to the season means he brings his second season in the Porsche Carrera Cup GB to a close with four race victories, a joint-highest total in the championship this year, which put him just nine points off the eventual champion in the final standings. Tom Wrigley: “What a fantastic way to end the season! The meeting started really well in Friday practice, I immediately got to grips with the GP circuit in the Porsche, which meant it was a bit frustrating to only qualify fourth after holding provisional pole at one stage. “Admittedly we got a bit lucky in some ways in the opening race, however you’ve got to be in it to win it and I was delighted with the podium. I wanted to go out there and win the final race of the year and that’s what we did, with my most dominant success in Porsche’s so far. “While it might have been a reverse grid race, I still had some very quick drivers behind me again but I could pull clear of them and get the win. The last six laps or so were amazing, I could really settle back and enjoy driving this amazing circuit at the front of the field. “It caps off an awesome season. Finishing nine points off the title, you naturally look back at the positions you lost, the mistakes you made and the bad luck you encountered through the year, but truthfully I can’t be unhappy with four race wins and third in the championship standings. “Oulton Park was probably the highlight of the year, getting pole position by four tenths of a second and then my maiden victory at my home circuit, but this is right up there, winning the last race of the season in front of a huge crowd on the BTCC finale weekend. MSS KITS driver Tom Wrigley produced a sensational display at Silverstone to record his best ever weekend in the Porsche Carrera Cup GB with a victory and a third place finish during the penultimate rounds of the season (15/16 September). 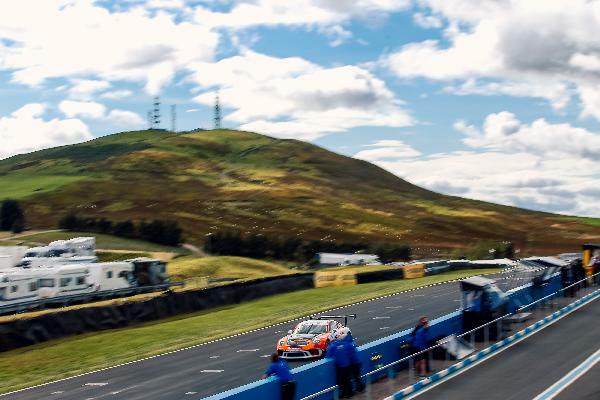 The race success came as a bit of surprise for the Welshman following a tough run during free practice and qualifying, with some difficulty in finding the sweet spot in his JTR prepared Porsche 911 GT3 Cup car ensuring he would only qualify fifth on the grid. Wrigley didn’t let that faze him though and he enjoyed a brilliant start to the opening race, with a bold overtaking move into Brooklands moving him up to third position and right onto the tail of the driver ahead of him in the standings, Tio Ellinas. The Chirk based racer piled on the pressure as he tried to make a move around the short, fast Silverstone National circuit, but with no clear opportunity presenting itself he elected not to risk his podium finish and brought the MSS Kits Porsche home in a brilliant third place. That secured Wrigley a front row start for the live televised reverse grid race, with an excellent launch off the line allowing him to spectacularly storm down the inside of the poleman George Gamble into Copse corner to take the lead. The 26 year old quickly pulled a second clear of the pack behind, an advantage he would maintain throughout the remainder of the race as he controlled proceedings in style with a measured, intelligent drive to the chequered flag. Wrigley led home an historic first ever one-two-three finish for the JTR team as he continued his hugely impressive record of finishing every race so far this season inside the top six. The result would also mark his milestone 25th podium finish competing on the BTCC support package. Tom Wrigley: “It’s not been the easiest of weekends, our qualifying didn’t go well and I’ve been feeling under the weather, but you’ve got to make it count on your bad days and I’m over the moon to come away with a win and a third place. “It was all about the start in race two. I knew I needed to get the lead into Copse or it was going to be a tough race, and fortunately I nailed it. The car was fantastic and with the battling behind, I didn’t have to push to the absolute limit and could look after my tyres as best I could. The 2018 Porsche Carrera Cup GB season comes to a close with two races around the Brands Hatch Grand Prix circuit in two weeks’ time (29/30 September). MSS KITS driver Tom Wrigley has kept himself in the fight for the 2018 Porsche Carrera Cup GB championship title with a pair of hard-fought top six finishes during a tricky outing at Knockhill this past weekend (25/26 August). 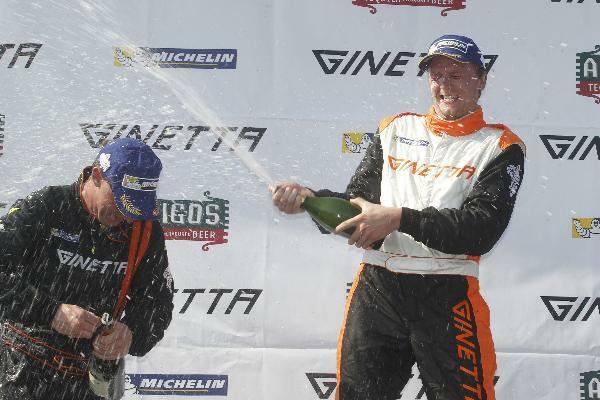 Wrigley headed north to Scotland with his confidence sky high after taking a second win of the season last time out at Snetterton, and he returned to Knockhill with fond memories of a sensational treble victory there on his way to the 2016 Ginetta GT4 Supercup title. The race week would start in hugely positive fashion as Wrigley ended second fastest overall in an official pre-event test on Wednesday, which he followed up with some more blistering lap-times in his JTR prepared Porsche 911 GT3 Cup car during free practice on Friday. The Chirk based racer went on to superbly lap the short, fast 1.2 mile circuit in just 49.002 seconds in qualifying the next day, an effort that secured him fourth on the grid for the first of Sunday’s two races, which would take place in torrential rain after a change in weather overnight. Wrigley, who celebrated his 26th birthday earlier this month, adapted superbly to the treacherous conditions as he maintained fourth position over the first half of the race, staying hot on the heels of the podium contenders in his MSS Kits Porsche. Unfortunately through no fault of his own he would lose out on a position in the final portion of the race though. A driver ahead slid wide through the gravel trap and as he returned to the circuit, he forced Wrigley onto the grass which dropped him to fifth for the finish. That would ultimately prove costly as it denied him the reverse grid pole position for the live-televised second race of the day, which would be a milestone encounter for Wrigley as he made his 80th start on the BTCC support package. A strong run would see the Welshman maintain fifth position for a large portion of the race, however some unnecessarily robust defending from a lapped backmarker on lap 21 would lead to him making a trip through the gravel trap at Clarks corner. Wrigley, who was holding the live in-car cameras for ITV4 across race day, recovered to the circuit in seventh place and quickly set about making up ground again, with a late move securing him sixth position heading to the chequered flag. The weekend’s results have extended Wrigley’s brilliant run of finishing every race so far this season inside the top six, with that consistency ensuring he remains only nineteen points adrift of the series leader heading into the final four races of the season, starting at Silverstone on 15/16 September. Tom Wrigley: “The week started off well in testing on Wednesday but unfortunately it just went progressively downhill from there. The change in weather over the weekend played a factor, but we ultimately didn’t quite have the podium pace in the dry or wet conditions. “This circuit is a particularly tricky one in the Porsche as the short, tight nature of it means traffic and yellow flags play a big role in qualifying and especially the races, where it’s hard to settle into a rhythm and focus on the driver ahead as you negotiate back-markers. “That was a particular issue for me in the second race as they seemed to make it very difficult to overtake, but we got to the finish and I’m pleased we got a pair of top six finishes and a solid championship points haul in such treacherous conditions. “We have positives to take from the weekend and now we move on and focus on Silverstone next. That will be another close weekend with fine margins, so we’ll see what we can achieve. We’re going to need some luck to go our way in the title battle, but we’re not going to give up! 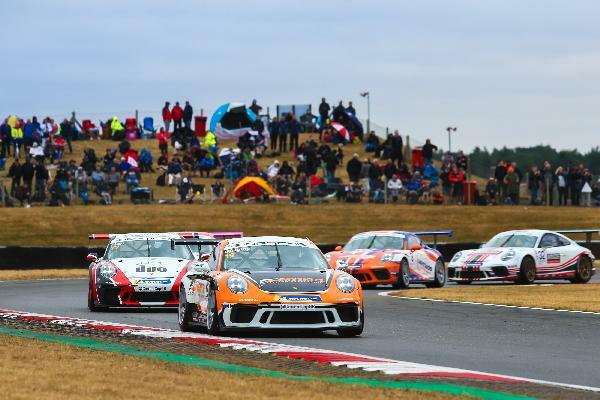 MSS KITS driver Tom Wrigley produced a sensational drive in treacherous wet conditions to secure his second victory of the 2018 Porsche Carrera Cup GB season at Snetterton this past weekend (28/29 July). Seven weeks on from his maiden win in the championship, Wrigley continued his fantastic run of form in the championship with a majestic lights-to-flag success in Norfolk, which coupled with a fifth place finish has maintained his top three position in the championship standings. The Oulton Park victory prior to the Carrera Cup GB’s summer break and his standout performance on his Porsche Mobil 1 Supercup debut at Silverstone earlier this month meant that Wrigley entered the second half of the season with confidence sky high. After finishing second fastest in an official championship test on Wednesday, Wrigley would continue to light up the timesheets two days later in free practice as he posted the third quickest time in sweltering hot conditions. 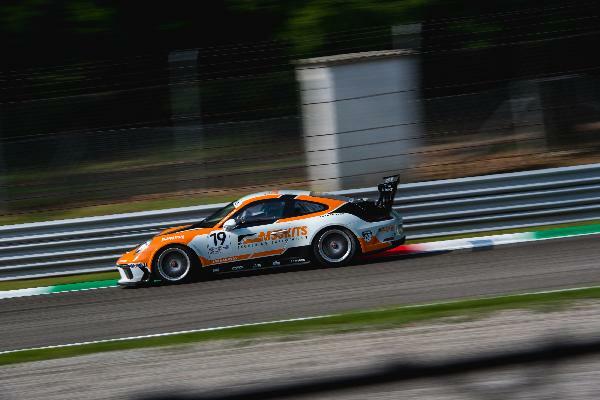 It unfortunately didn’t go his way in qualifying the next day however as he struggled with understeer in his JTR-prepared Porsche 911 GT3 Cup car, eventually securing himself sixth on the grid for the first of Sunday’s two races. With the summer heatwave being replaced by torrential rain for race day, the 25 year old would be tackling a sodden track surface in the opening encounter, with a strong start seeing him maintain position on the opening lap as he adjusted to the limited grip levels. After getting comfortable with the conditions, Wrigley was able to start pushing forwards and he latched onto the tail of a big battle for the final podium position, with his efforts aided by an incident for a driver ahead that promoted him to fifth. The Chirk-based racer was unable to make any further progress though in a close-fought battle to the flag, but that would prove to be a blessing in disguise as the number five got drawn out of the bag for the reverse grid, handing him pole position for race two. In front of the live ITV4 television cameras and a big trackside crowd braving the wet and windy conditions, Wrigley produced a great launch off the line to maintain his lead and build himself some early breathing space at the front. A composed drive in the middle of the race saw him hold off his pursuers whilst looking after his Michelin tyres, which ensured that in the closing stages he was able to get his head down and pull clear of his championship rivals behind. 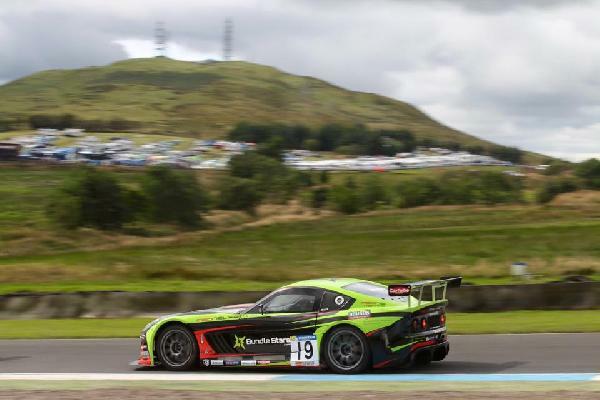 The MSS KITS driver took the chequered flag to the delight of his family, team and sponsors, with a superb fourth podium finish of the season so far keeping him third in the points standings heading into the next rounds at Knockhill in Scotland on 25/26 August. Tom Wrigley: “I’m over the moon with the victory! It wasn’t the qualifying and opening race that we wanted, but it all came together in the end and it’s the perfect way to start the second half of the season for me, the team and MSS KITS. “It was a tricky race in the conditions, but fortunately I was able to get a good start and control the early stages. We struggled a bit for pace in the middle, so I drove conservatively to preserve my tyres, which allowed me to push hard at the end and build the gap. 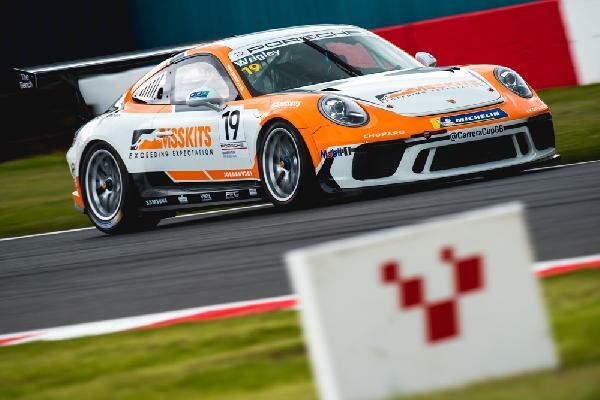 MSS KITS driver Tom Wrigley produced a phenomenal performance on his Porsche Mobil 1 Supercup debut at Silverstone this past weekend (07/08 July) as he converted a stunning fifth place in qualifying into a richly-deserved top ten race finish. The weekend would be one of the biggest in Wrigley’s blossoming career so far as he competed on the support bill for the Formula 1 Rolex British Grand Prix for the first time, linking up with his regular Porsche Carrera Cup GB outfit Team JTR. Standing at the top of Porsche’s pyramid of twenty one-make series across the world, the Porsche Mobil 1 Supercup is one of the most competitive GT championships on the planet, with a talented 33-car entry providing a stern test for Wrigley in his MSS KITS Porsche. 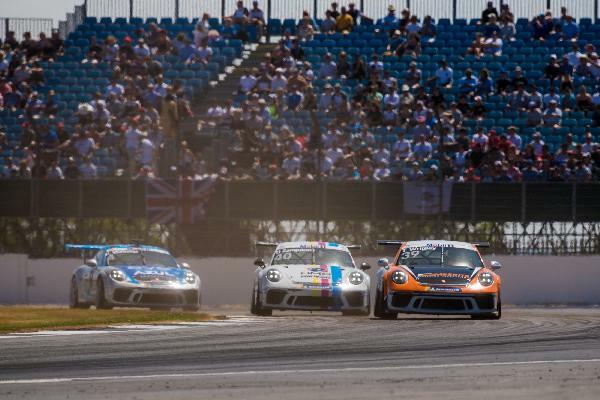 The Chirk-based racer was excited for the challenge as he headed into the meeting with confidence high, having secured a maiden Carrera Cup GB victory last time out at Oulton Park as part of his best run of form in the championship so far. An official two-day Supercup test at Silverstone last month would provide Wrigley with some crucial mileage around the 3.19 mile Grand Prix circuit, before Friday’s forty-five minute practice session provided a last chance to perfect the car’s set-up ahead of qualifying. The hard work would pay off in the Saturday evening sunshine, with the 25 year old stunning the paddock as a sensational late lap of 2m 03.912s put him fifth fastest overall as the leading British driver on the grid, ahead of a number of seasoned Supercup front-runners. The sole race of the weekend would see Wrigley compete on Sunday morning on the eve of the British Grand Prix itself, ensuring that over 100,000 fans were watching trackside and plenty more via live television coverage on Sky Sports F1. Wrigley would immediately experience the cut-throat nature of Supercup racing as he got shuffled back to tenth over the course of the first two laps, but the MSS KITS driver quickly dusted himself off and settled into a rhythm of competitive lap-times. A thrilling three-way battle would emerge between Wrigley, his current Carrera Cup GB rival Dino Zamparelli and 2014 champion Josh Webster, with the three British contenders producing some great wheel-to-wheel action for the home fans. Slipping back to thirteenth at one stage, Wrigley fought back superbly to slot back into tenth heading into a late safety car period, before a mature, composed drive after the restart ensured he came home with a brilliant top ten finish. Tom Wrigley: “What an amazing weekend. I’m absolutely over the moon with what we achieved. It’s an incredible feeling to have come into a brand-new, hugely competitive championship and qualify in the top five first time out. “I said that my pole position lap at Oulton Park was ‘one of the best laps of my life’ and I think my qualifying lap this weekend was right up there with it. I gave it absolutely everything that me and the car had, and to come away fifth was unexpected but awesome. “It was a special feeling to line-up on the grid in front of a massive home crowd ahead of the British Grand Prix itself, and while it was a shame to have not been able to fight for the top six, it remained a thoroughly enjoyable race for me with some great battles on circuit. “We came into the weekend with a top ten finish our target and to achieve that is extremely satisfying. I must say a massive thank you to Team JTR, they gave me a fantastic car, and to MSS KITS for making it all possible; I wouldn’t have got this opportunity without them. 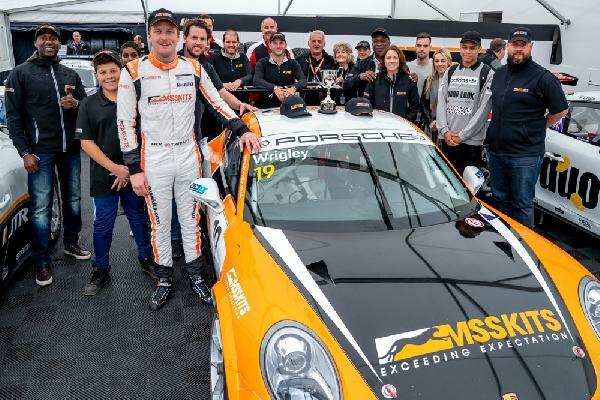 MSS KITS driver Tom Wrigley converted a maiden Porsche Carrera Cup GB pole position into a sensational first win in the championship during a weekend he will never forget at his home circuit of Oulton Park (09/10 June). Wrigley was the class of the field in Cheshire on Saturday as he topped the timesheets in qualifying by a huge margin before producing a faultless drive in race one to take a richly-deserved maiden success, which he followed up with a fourth place finish in race two on Sunday. The Chirk-based racer was enjoying his best ever run of results heading into the weekend with four consecutive top four finishes including two visits to the podium under his belt, which ensured he was full of confidence heading into the meeting. 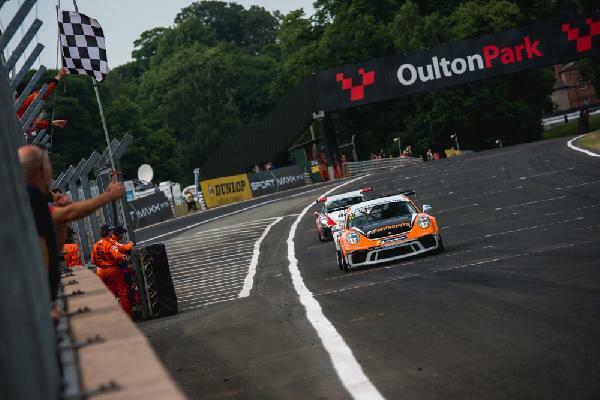 That certainly showed in Friday practice as Wrigley got straight onto the front-running pace around the picturesque 2.23 mile Oulton Park Island circuit, finishing each of the two sessions in the top three in his JTR prepared Porsche 911 GT3 Cup car. The MSS KITS driver’s effort of 1m 21.734s was remarkably four tenths of a second faster than anybody else, with the scale of his achievement being shown by the fact the same time margin separated the next five cars on the ultra-competitive grid. With pole position in his hands, Wrigley only had victory in his sights as he took to the grid for race one later that afternoon and he kicked off proceedings in style, with a fantastic launch off the line putting him on the path to a two second lead by the end of lap two. It would be far from plain-sailing at the front for the 25 year old though, with his JTR team-mate Lewis Plato benefitting from a newer set of Michelin tyres as he closed down the gap to half a second as they headed into the second half of the race. Wrigley wouldn’t be fazed by this however and a composed drive saw him keep his adversary at arm’s length for the remainder of the race to record a brilliant first Carrera Cup GB win to the delight of his sponsors, family and team, with JTR enjoying a one-two result. 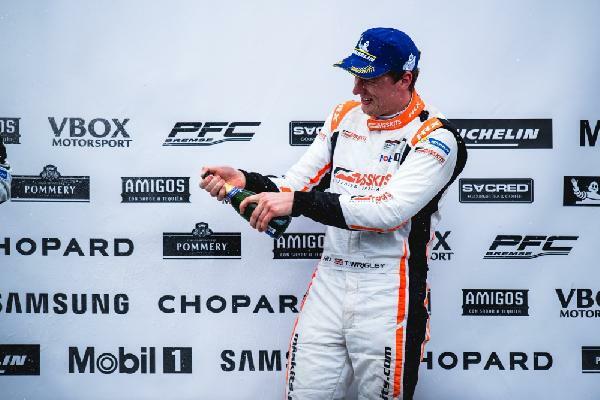 After celebrating atop the podium, the former Michelin Ginetta GT4 Supercup champion was tasked with making the reverse grid draw for race two and he enjoyed the best possible outcome, picking out number four to place himself on the second row of the grid for Sunday’s race. In front of a typically huge trackside crowd in Cheshire and the live ITV4 televison cameras, Wrigley maintained fourth position in the early stages before showcasing his tremendous pace once again as he started to pile the pressure on Tio Ellinas ahead. Despite his best efforts, Wrigley was unable to find a way past his adversary and followed him to the chequered flag for a sixth consecutive top four finish, with his efforts of the meeting earning him the championship’s official ‘Driver of the Weekend’ award for the first time. The weekend’s results mean Wrigley brings the first half of the 2018 Porsche Carrera Cup GB season to a close in a superb third in the championship standings, with the series returning to action in seven weeks’ time with Rounds Nine and Ten at Snetterton in Norfolk (28/29 July). Tom Wrigley: “It’s been a truly incredible weekend, getting my first pole position and victory in the Porsche Carrera Cup GB. The JTR car was perfect weekend and I’m delighted I was able to maximise the potential of the car and deliver the team and MSS KITS our first win together. “I was ecstatic after qualifying, that was truly one of the best laps of my life. Nick Tandy [JTR team boss] told me to not leave anything out there, and that’s what I did. I was pushing to the absolute limit and to come away quickest by four tenths of a second was amazing. “The first race was mega. I knew it would be a challenge as Lewis [Plato] behind me had newer tyres, but I was able to keep him at arm’s length and take the win. It was an incredible feeling and hopefully it will be the first of many in the series. 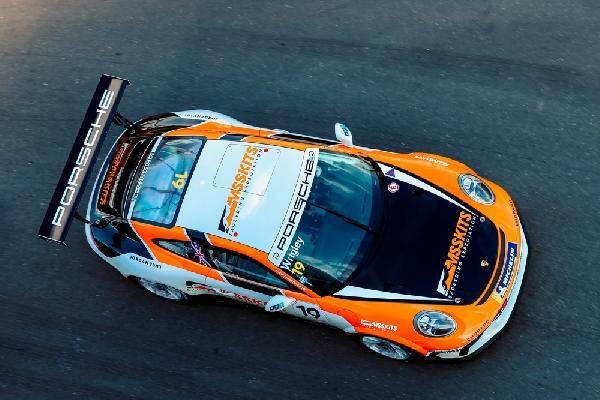 MSS KITS driver Tom Wrigley continued his fantastic start to the season in the Porsche Carrera Cup GB this past weekend (12/13 May) as he secured a sensational podium finish during his first ever visit to the world-famous Monza circuit in Italy. Wrigley travelled to Southern Europe with confidence high following a first podium finish of the season two weeks prior at Donington Park, and he immediately got to grips with the 3.6 mile Monza circuit during free practice on Friday, ending the second session a great third fastest overall. Unfortunately the 25 year old would only be able to secure sixth on the grid during qualifying the following morning as he battled some early brake issues, however he was confident there was a lot more pace to come heading into the opening race that afternoon. Wrigley managed to avoid a dramatic incident ahead at the first corner to swiftly rise to fourth place in his MSS KITS Porsche 911 GT3 Cup car, a position he would go on to maintain as the action restarted following a lengthy safety car period. Sticking to the tail of the two cars ahead, the Chirk-based racer would ramp up the pressure heading into the final ten minutes of the contest and his efforts were rewarded when a mistake from a driver ahead opened the door for him to grab third position. With a clear gap behind, Wrigley would fortunately be able to nurse his JTR car home to the chequered flag as he started to feel the effects of a slow puncture, with his efforts rewarded by a superb second consecutive Carrera Cup GB podium finish. 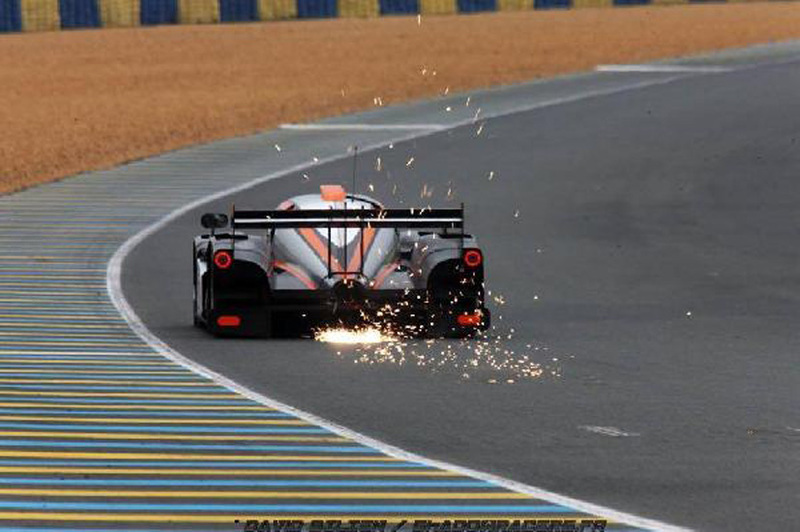 The MSS KITS racer would go on to narrowly miss out on making it three-in-a-row during race two on Sunday morning. Lining up fourth on the reverse grid, he would initially get shuffled back over the course of a hectic first lap to settle in sixth place. Following another early spell behind the safety car, Wrigley would begin to heap pressure on the drivers ahead as the race reached mid-distance, with his persistence rewarded as an incident ahead opened the door for him to move back into fourth place. With a clear gap to the driver behind, Wrigley produced a composed drive to maintain the position through to the chequered flag to make it four consecutive top four finishes in the Carrera Cup GB, his best run of results in the championship so far. Another great haul of championship points has moved Wrigley up to third in the overall standings ahead of a visit to his local circuit Oulton Park next, with the Cheshire venue hosting Rounds 7 and 8 over the weekend of 09/10 June. Tom Wrigley: “It’s been another great weekend in the Porsche Carrera Cup GB with MSS KITS. The JTR team gave me a fantastic race car throughout the meeting and I’m delighted I could convert that pace into a second podium finish of the season. “A few mistakes on my part cost us a better result in qualifying, but I knew there was a lot more to come and we showed that in the opening race. I enjoyed dicing it out with the two drivers ahead and I’m chuffed that I could come away with third place at the finish. “I probably made the best start of my Carrera Cup GB career so far in race two but sadly got squeezed out and ended up losing ground. The circuit is difficult to overtake around, so it was a case of biding my time and picking up places where possible. MSS KITS driver Tom Wrigley enjoyed his best ever meeting in the Porsche Carrera Cup GB at Donington Park this past weekend (28/29 April) as he secured a pair of top four results including a superb first podium finish of the season. 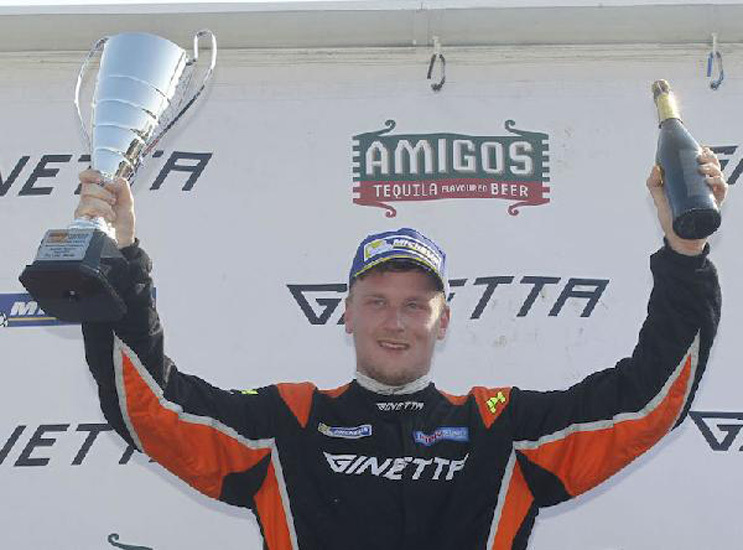 Wrigley headed into the meeting with a rich history at the Leicestershire circuit, with it having been the scene of a stunning triple victory there on his way to the 2016 Michelin Ginetta GT4 Supercup title, and then his maiden Carrera Cup GB podium finish twelve months ago. The 25 year old would continue his positive run at the circuit during official pre-event testing on Thursday, with blistering pace under the spring sunshine seeing him finish the day second overall after lapping under the existing championship lap record for the circuit. The weather would completely change for Saturday however as rain fell across the circuit for the majority of the day, though a break in the showers during the all-important qualifying session meant that the conditions were constantly evolving as the track surface dried. The session would therefore boil down to a frenetic final few minutes and Wrigley was unfortunately unable to take full advantage as he battled with traffic, which meant he would have to settle for sixth on the grid for the opening race later that afternoon. Wrigley would kick off the action in tremendous fashion as a superb launch off the line saw him storm through the middle of the row ahead and into fourth position, with some great early pace seeing him latch onto the tail of the podium contenders ahead. The Chirk-based racer would also come under pressure from behind however and he slipped back to fifth on lap six, though he kept in touch with the drivers ahead and soon found himself back in the midst of a close-fought three car battle for the final podium position. A great move into Coppice on lap nineteen would secure him fourth position once again, which he maintained with a composed drive to the chequered flag. It would prove to be a useful result, with the reverse grid draw giving him a front-row start for race two the following day. A dry circuit would allow Wrigley to maximise that opportunity and show the fantastic pace in his JTR Porsche in front of the live ITV4 television cameras, with a great spell early on seeing him post the fastest laps of the race as he kept in touch with the race leader. The introduction of the safety car at the halfway mark of the race would place Wrigley right in the middle of a four car battle at the restart, though his only focus was on the driver ahead and he started to put him under immense pressure as the laps ticked down. Despite his best efforts, Wrigley was unable to forge a clear overtaking opportunity without risking his second place, so he maintained that position to the finish to take a career-best result in the Carrera Cup GB to the delight of his family, team and sponsors. 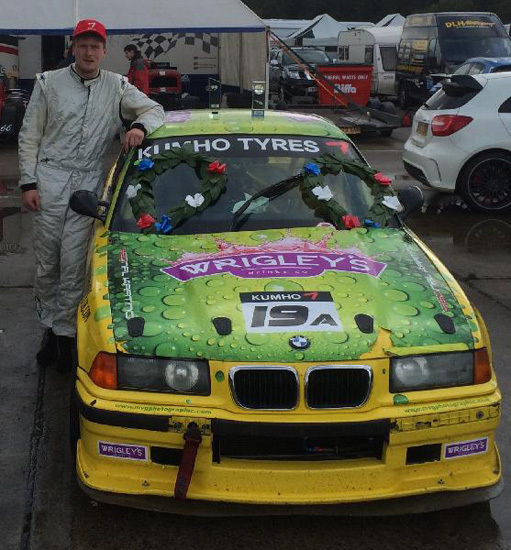 Tom Wrigley: “I’m absolutely over the moon to take our first podium finish of the season. While it might have been the reverse grid race, we showed we clearly had the pace to be at the front and JTR gave me a perfect car that allowed me to push throughout the race. “We were quick at the start even when I was trying to preserve the tyres, which meant there was still plenty of life in them at the end and we could keep the pressure firmly on the race leader right to the finish. I feel that result caps off a really strong weekend for us performance wise. The Porsche Carrera Cup GB will now head overseas for the next rounds of the 2018 season, with the historic Monza circuit in Italy hosting rounds five and six in two weeks’ time (11-13 May) as the series races in support of the European Le Mans Series. MSS KITS driver Tom Wrigley got his 2018 Porsche Carrera Cup Great Britain season underway with a hard-fought pair of top six finishes during the opening rounds of the championship at Brands Hatch this past weekend (07/08 April). The new season would be Wrigley’s second campaign in the ultra-competitive one-make championship, which races in support of the Dunlop MSA British Touring Car Championship, while it would mark MSS KITS’ first venture into top level British motorsport. The opening weekend would see the distinctive orange, black and white liveried MSS KITS Porsche make a real impression to both the live ITV4 television audience and the fans trackside, with many of them getting their hands on posters and caps during an autograph signing session with Wrigley. On track it was a strong start for Wrigley in his fourth consecutive season competing on the BTCC support package, with the 25 year old having adapted well to the new-for-2018 485hp Porsche 911 GT3 Cup car and his new team, JTR, during pre-season testing. Returning to the scene of his Porsche Carrera Cup GB debut twelve months ago, Wrigley would produce competitive lap times from the off around the Brands Hatch Indy circuit, finishing sixth overall at the end of Friday’s two official free practice sessions. Wrigley would go on to finish in the same position in qualifying the next day, less than half a second shy of the overall pole position time, and he headed into Sunday’s two races confident of having strong race pace in the MSS KITS Porsche. A change of weather conditions overnight meant that Wrigley would be greeted by a wet circuit for round one, but he produced a superb run in the tricky conditions to immediately move up to fifth place and get himself in a close fought-battle for the final podium position. A great move heading into Paddock Hill Bend at the start of lap twenty-one saw him rise to fourth, however an unfortunate lock-up while braking two corners later would lead to him running wide and slipping to eighth – however a superb recovery drive took him to sixth at the finish. The second race, televised live on ITV4, would be a quieter affair for the Chirk based racer as he ran in sixth for the first portion of the race amongst a close seven car train, before gaining a position just before the halfway mark of the contest. That would prove to be the last piece of action before the race was nullified, with two lengthy safety car periods, separated by just two racing laps, eventually leading to the red flags coming out and the race being brought to an early conclusion. Fifth place would net Wrigley more crucial championship points, which means the MSS KITS driver lies fifth in the points standings heading into the next two rounds of the championship at Donington Park in Leicestershire on April 28/29. Tom Wrigley: “It was a great first weekend with MSS KITS in the Porsche Carrera Cup Great Britain. The car looked fantastic and certainly drew plenty of attention, while it was great to get the opportunity to interact with the fans and give away some great MSS KITS merchandise. “On track, I didn’t drive as well as I could in qualifying which was frustrating as it left us with some work to do in the races, but I felt we were strong on Sunday. I was quick in race one and right in the mix for the podium, but sadly one small mistake would cost me dearly. SPA PORSCHE WEEKEND	 One week after wrapping up the 2016 Michelin Ginetta GT4 Supercup title, Tom Wrigley will make his Dutch Supercar Challenge debut this weekend at Circuit de Spa-Francorchamps. 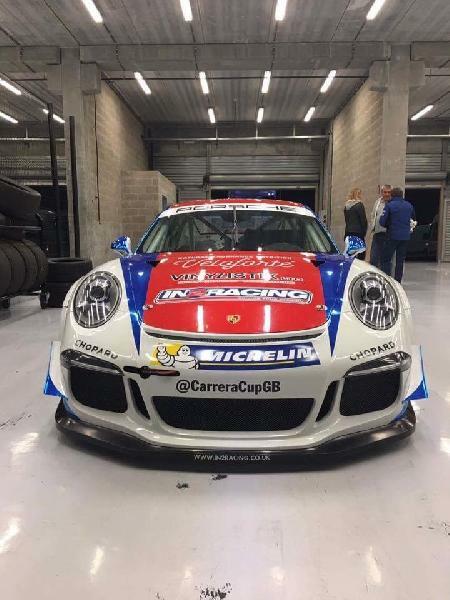 Wrigley will link up with Porsche Carrera Cup GB squad In2 Racing for the weekend, racing one of their Porsche 911 (Type 991) GT3 Cup cars in the GTB class. While it marks the first time Wrigley will race one of the Porsche’s, he has previously tested one with the Binton-based squad back at Oulton Park in September. The Dutch Supercar Challenge features a unique blend of GT machinery and touring cars, with Spa marking the penultimate meeting of a season that featured a visit to Snetterton last month. Wrigley will get to grips with his new machinery and circuit first during Friday practice, before tackling qualifying and a one hour race on Saturday, and then a 90 minute race on Sunday. “We’ve barely got over last weekend, but I’m really looking forward to driving one of the best circuits in the world and in a Porsche to top it off,” said Wrigley. 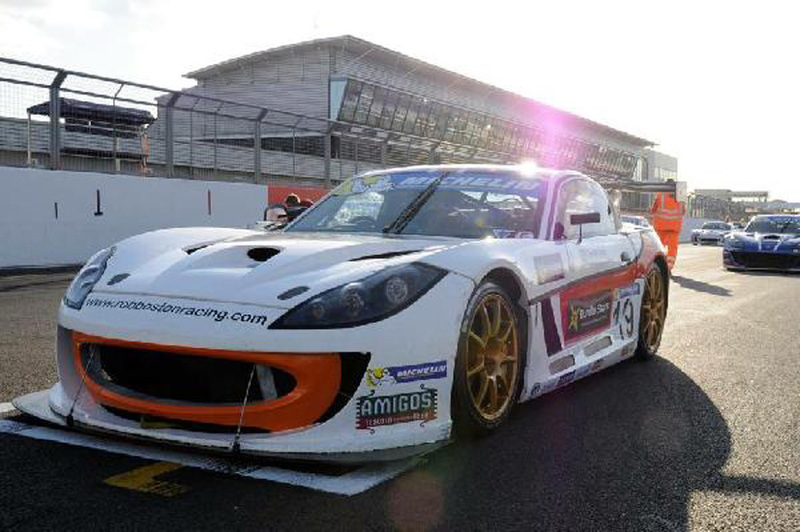 2016 Ginetta GT4 Supercup Champion	 Tom Wrigley has been crowned the 2016 Michelin Ginetta GT4 Supercup champion following a dramatic season finale weekend at Brands Hatch GP. After picking up some vital championship points in the opening two races with seventh and eighth place finishes, the championship fight went down to the final race of the year. In front of a huge trackside crowd and the live ITV4 television cameras, Wrigley produced a determined drive to crucially follow his title rival home in third overall, with his sixteenth podium of the season securing him the crown! Tom: "I'm absolutely elated. I can't believe it. Rob and the team have done an incredible job through thick and thin all season. It's absolutely amazing. "My family, Bundlestars and all my sponsors have been unbelievable and without them we wouldn't have been in the position to go racing and win the title, so thank you to them all." Thank you to Simon Paice Media for the release and Jakob Ebrey Photography for the images! 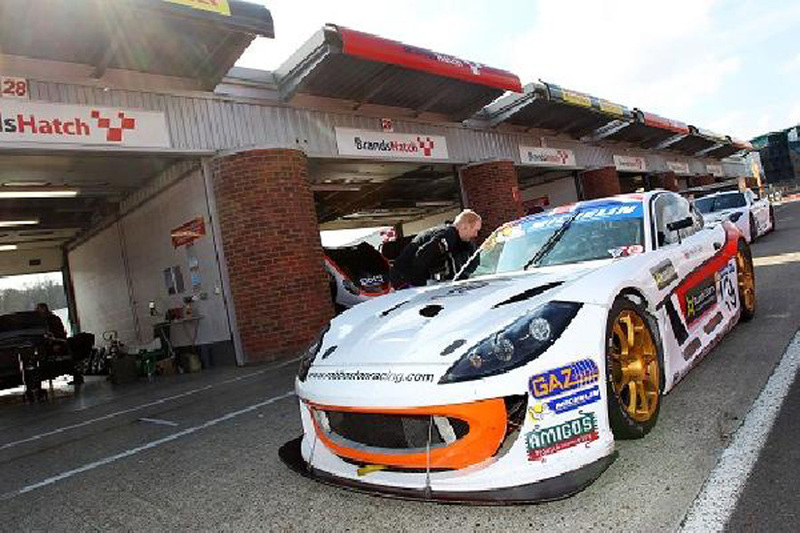 Rounds 15,16 and 17th	 Tom recovered from his first retirements of the 2016 season to secure a top five finish during a rollercoaster Michelin Ginetta GT4 Supercup weekend at Rockingham. Tom was the fastest driver in the field across Friday and Saturday, converting practice leading pace into a superb fourth pole position of the season so far - however a fuel pressure problem in the opening race would lead to an unfortunate early retirement. Sunday's opening race would see Tom impressively scythe his way through the order from fifteenth on the grid to fourth, however contact on the final lap would lead to another disappointing DNF. Tom bounced back once again in race three though and another superb drive through from the back of the field would result in a fifth place finish - which helps maintain his points lead with five races remaining. Rounds 11,12,13 and 14	 Tom has extended his lead at the top of the Michelin Ginetta GT4 Supercup standings to 93 points following another sensational weekend of racing at Knockhill. 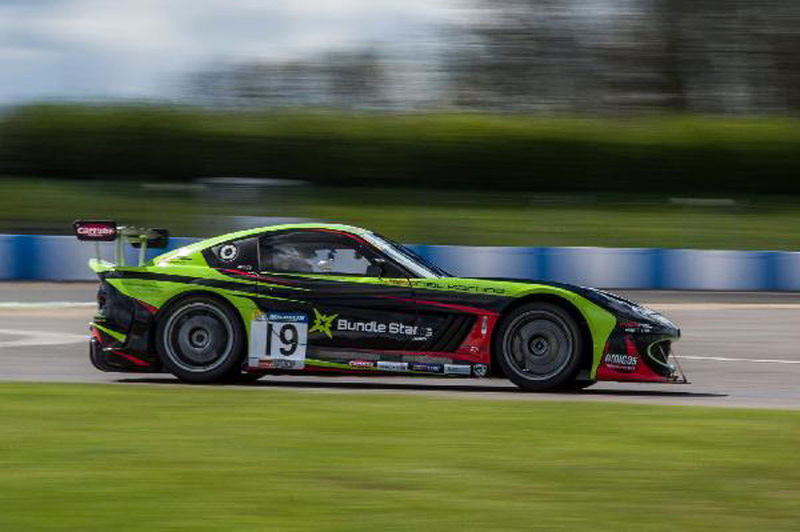 In his Rob Boston Racing G55, Tom stormed to a third pole position of the season so far in qualifying, which he would go on to follow up with a historic second hat-trick of victories of the season so far. 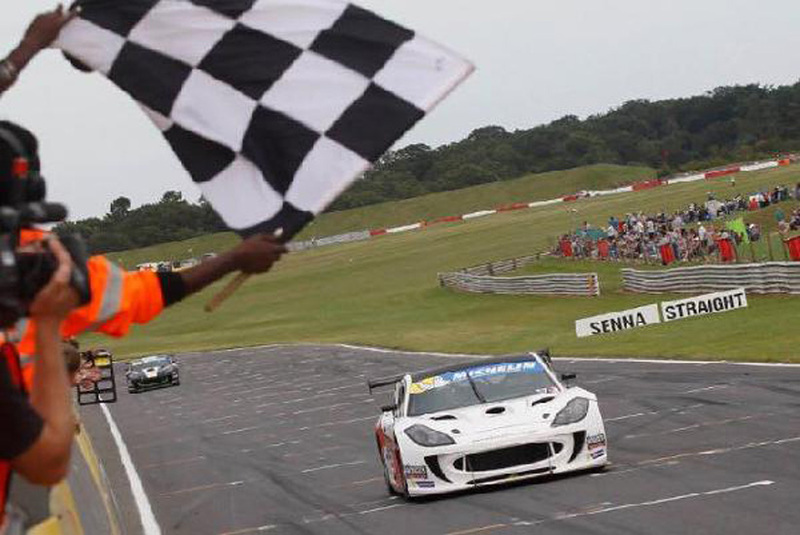 The opening win came with a battling performance from fourth on the grid in the rescheduled Snetterton race, while the next two were unstoppable lights-to-flag wins, with Tom lowering the circuit lap record as he stormed to victory. While early contact in the fourth and final race of a busy weekend led to a disappointing seventh place finish, Tom is delighted with how the weekend panned out - particularly as he celebrated his 24th birthday on Saturday. Tom: "It’s been an incredible weekend, to celebrate my birthday and take three race wins is unbelievable. Rob and the team gave me a fantastic car all weekend, the relentless hard work is paying off and I’m delighted to reward them with some more victories." 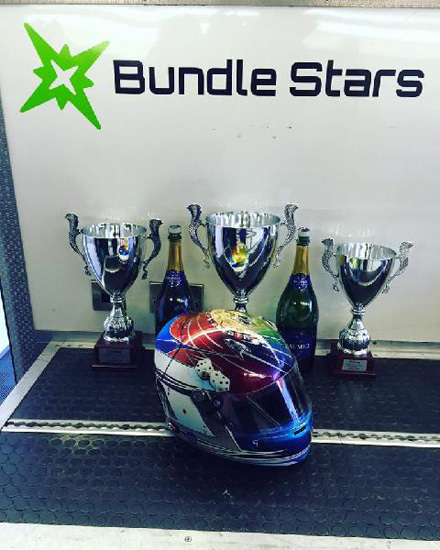 We're back in action in the Bundle Stars/Rednal Karting machine in two weeks at Rockingham! The two podium finishes have extended Wrigley’s championship lead to 68 points over Jamie Orton and Burns heading into the annual trip north of the border to Knockhill in Scotland on 13/14 August – a meeting in which Wrigley took his second career Supercup win twelve months ago. Rounds 7 and 8	 What an awesome weekend at Oulton Park that makes it 5 wins in a row. Another absolutely perfect weekend! 2 poles, 2 wins and 2 fastest laps. Felt amazing to achieve this in front of my home crowd. Thank you to all of you who came up to support me and watched at home. A massive thanks to everyone at Rob Boston Racing for all their hard work. We now have a 63 point lead in the championship so looking forward to the next round at Snetterton. Ginetta G57 Le Mans	 Well that's my first G57 experience at Le Mans over and what a amazing experience it was, something I will never forget. Each time we got in the car we all went quicker. Shame we ended dropping from 2nd to 9th after we had a to make an unscheduled pitstop as a podium was looking on the cards. What a fantastic weekend had by all, Massive thanks and a well done once again to Lawrence, Mike and all the folks at Ginetta. 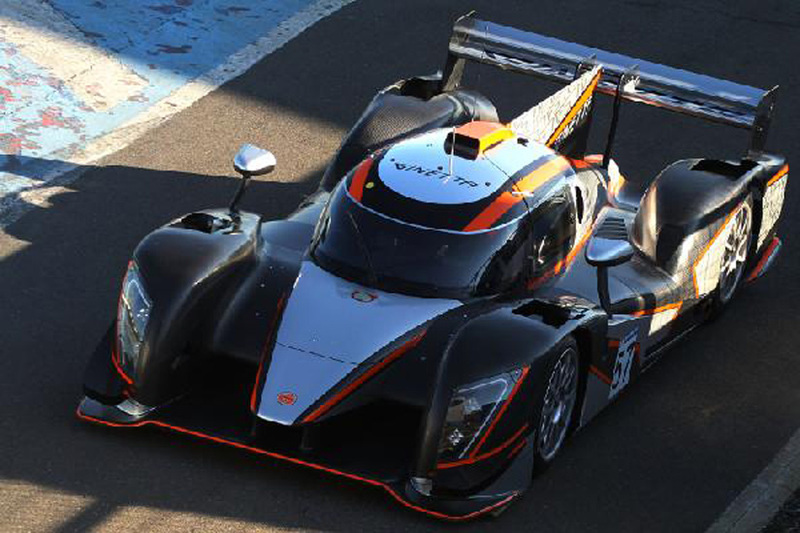 Ginetta G57 Le Mans	 When I said it doesn't really get any better than this after the Hat Trick at Donington.....well it just did!! 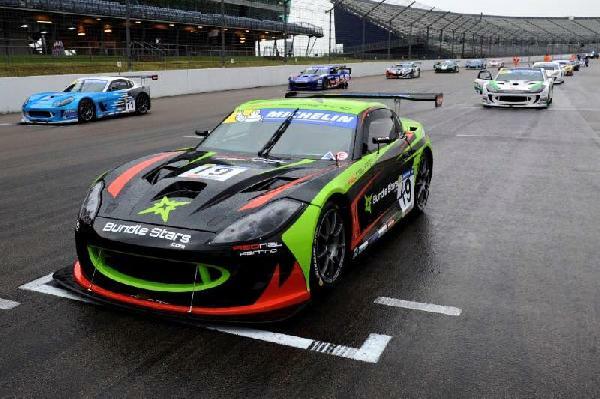 "Ginetta G57 Opportunity For Supercup Leader Wrigley. 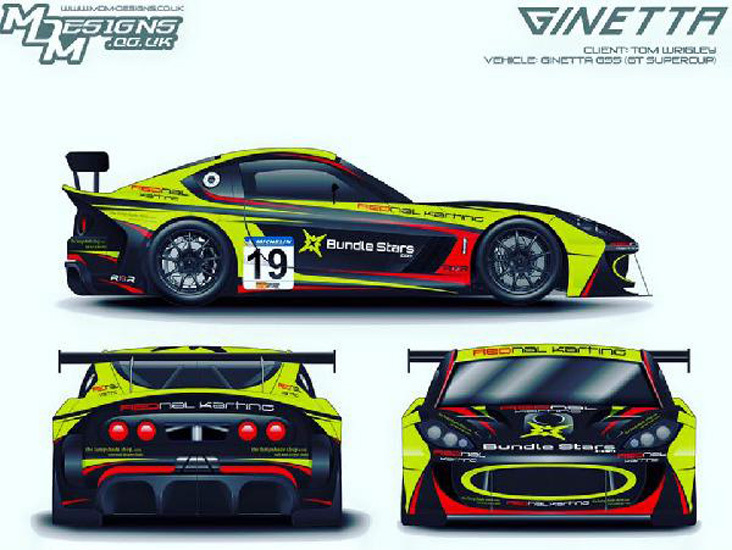 Tom Wrigley will swap his Ginetta G55 GT4 for a Ginetta G57 prototype this weekend as he joins a four car entry for V de V Le Mans"
Round 4,5 and 6	 With our new livery it really doesn't get any better than this. Pole position in Qualifying, and then to go on and win all 3 races and do the triple, something that's hasn't been done for a very long time. Over the moon is an understatement, as always massive thanks to all my sponsors and to all you folks for the continued support and messages. Massive thanks to Rob Boston Racing for the fantastic car preparation, and finally to my amazing family and friends. I now go into round 3 at Oulton Park with a 50 point championship lead. Tom Wrigley has written his name into the Michelin Ginetta GT4 Supercup history books after completing a clean sweep of race victories on offer at Donington Park. Tom Wrigley is determined to keep his advantage at the top of the Michelin Ginetta GT4 Supercup standings, which he earned with a podium hat-trick during the Brands Hatch season opener. Round 1,2 and 3	 What an absolutely awesome weekend 3 races 3 podiums and come away as championship leader you can't get any better than that. Massive thanks to Rob, Dave and the rest of the team for the awesome car. Also massive thanks to Craig at Bundlestars and all my other sponsors you know who you are for your continued support And finally thanks to all my family, friends and fans, all the comments and messages you send really do mean a lot to me and spur me on to do the best I can. Thank you all once again, bring on the rest of the season now! Brilliant Media Day at Brands Hatch, with the fastest lap time on all 3 sessions. Relief as it was the first time out in the car since the last race of 2015, happy with the performance of the new regulation 2016 Michelin tyres. 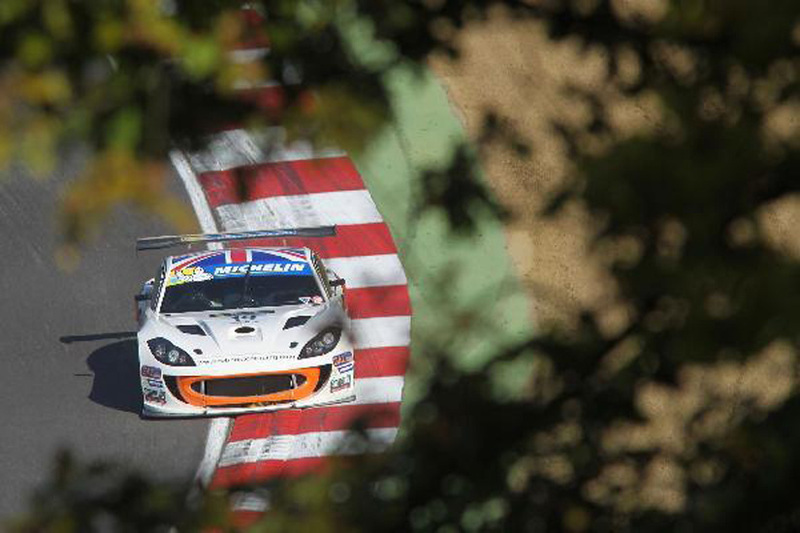 looking forward to Round 1 which will be back down at Brands Hatch on the 1st of April. Look out for the new livery coming soon! 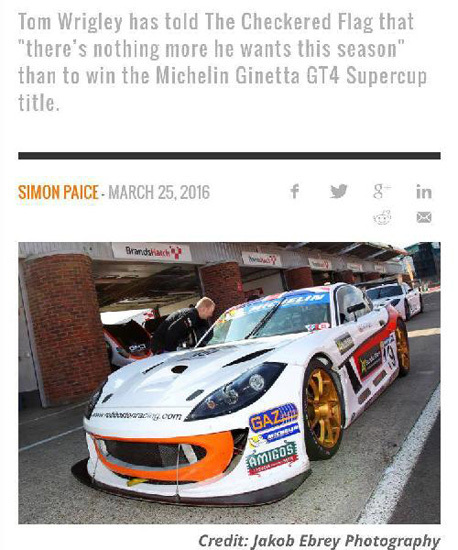 2016 Ginetta Supercup	 Absolutely over the moon to confirm I will be competing in the 2016 Ginetta GT4 Super Cup once again this year with Rob Boston Racing, can't wait for the action to begin this ones going to be a cracker. Round 7 Knockhill	 Another absolutely amazing weekend, another Win on the fabulous Knockhill circuit. Thanks to everyone who has supported me. Round 6 Snetterton Absolutely awesome weekend, 2 x 5th's in Races 1 and 2 and then a lights to flag victory in Race 3, over the moon with those results putting me 7th in the championship now within grasp of the top 5. 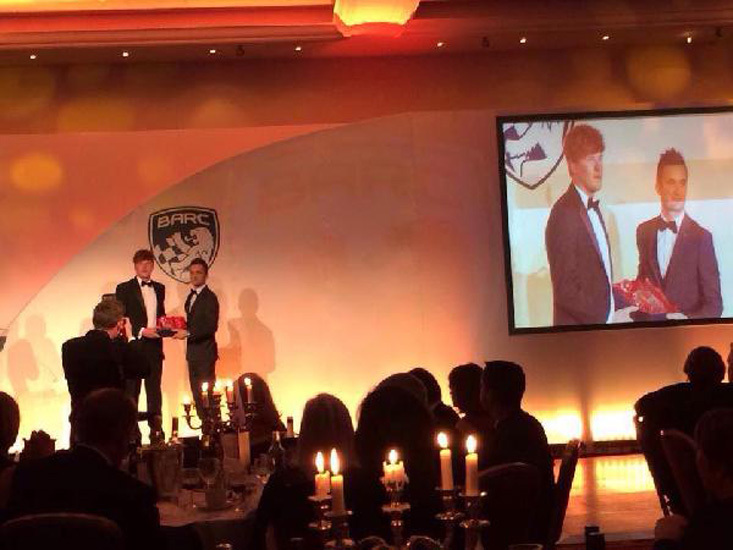 BARC Awards Receiving my BARC Champions award for the 2014 Kumho BMW Championship from Colin Turkingting 2014 BTCC champion, A very special evening !! 2014 Kumho BMW Champion 2014 KUMHO BMW CHAMPION!